Steeped in legend, Tanabata honors the tale of Orihime and Hikoboshi. According to folklore, the Milky Way separates these lovers, and they are allowed to meet only once a year on the seventh day of the seventh lunar month of the lunisolar calendar. With the stars aligning for this reunion, wishes are destined to come true. Therefore, on this day, Japanese write their own wishes on colorful paper (tanzaku) and hang them from bamboo branches. 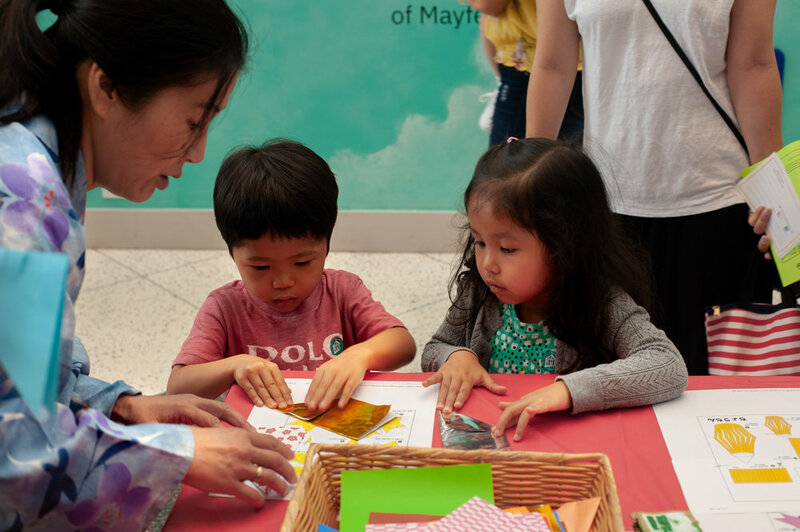 Participants in the Houston Tanabata event not only had the opportunity to make their own tanzaku wish cards, they also had the chance to experience kamishibai storytelling, dance traditional bon odori dances, and fold a variety of origami shapes. Many thanks to all who came out to enjoy Tanabata with us!